Here is the updated and expanded edition of the bestseller that changed millions of lives. 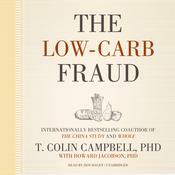 More than thirty years ago, nutrition researcher T. Colin Campbell and his team at Cornell University, in partnership with teams in China and England, embarked upon the most comprehensive study ever undertaken of the relationship between diet and the risk of developing disease. What they found, when combined with findings in Campbell’s laboratory, opened their eyes to the dangers of a diet high in animal protein and the unparalleled health benefits of a whole foods, plant-based diet. 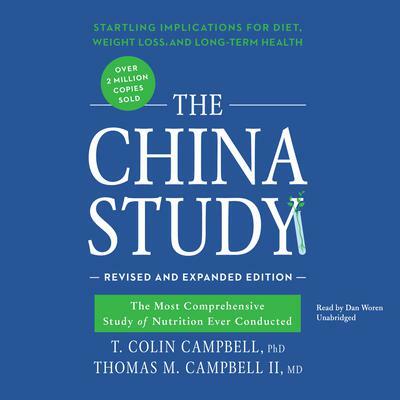 In 2005, T. Colin Campbell and his son Thomas M. Campbell, now a physician, shared those findings with the world in The China Study, hailed as one of the most important books about diet and health ever written. This heavily expanded edition of their groundbreaking book features brand-new content, including the latest undeniable evidence of the power of a plant-based diet, plus updated information about the changing medical system and how patients can benefit from a surging interest in plant-based nutrition. 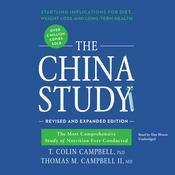 The China Study: Revised and Expanded Edition presents a clear and concise message of hope as it dispels a multitude of health myths and misinformation. The basic message is clear. The key to a long, healthy life lies in three things: breakfast, lunch, and dinner. 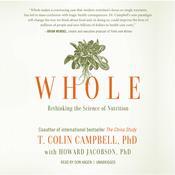 Dr. T. Colin Campbell has been at the forefront of nutrition research for more than forty years. His legacy, the China Project, is the most comprehensive study of health and nutrition ever conducted. He is a professor emeritus at Cornell University and is most well-known for coauthoring the bestselling book The China Study with his son, Thomas Campbell, MD. In addition to his long and outstanding career as an author, scientific researcher, and Cornell professor, he has been featured in several documentary films. He is the founder of the T. Colin Campbell Center for Nutrition Studies and the online internationally recognized plant-based nutrition certificate offered by the T. Colin Campbell Center for Nutrition Studies in partnership with eCornell. He currently serves as the chairman of the board. A 1999 graduate of Cornell University and recipient of a medical degree in 2010, Thomas M. Campbell II, MD, is a writer, actor, and five-time marathon runner.